“Four Weddings and a Funeral” is about to cross back over the threshold. Hulu is developing an anthology series from Mindy Kaling to be based on the 1994 romantic-comedy classic. The new version follows the film’s lead by centering on a group of friends whose lives are connected by the five titular events. The show will change the focus of the primary storyline for each season. Kaling and Matt Warburton (“Mindy Project”) are writing the project from Universal Television and MGM, which produced the film with Working Title. Executive producers include Kaling and Warburton, along with Jonathan Prince, Tim Bevan, Eric Fellner, Howard Klein and original film screenwriter Richard Curtis. 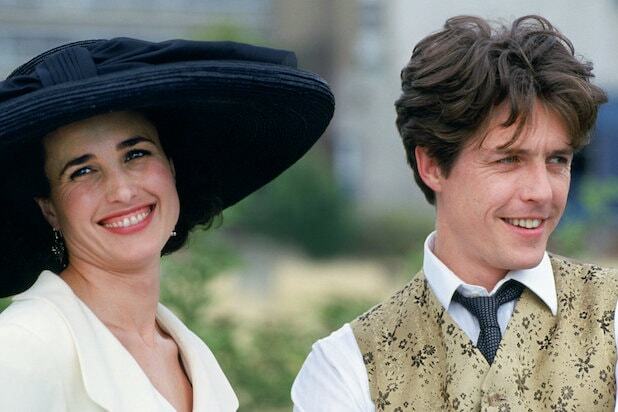 Mike Newell directed the feature version of “Four Weddings and a Funeral,” which starred Hugh Grant and Andie MacDowell. It picked up two Oscar nominations, including best picture. Kaling currently stars on “The Mindy Project,” which has aired its final three seasons on Hulu. Its series finale is set for Nov. 14.